Today in automatic advertisement-land – Nerdwatch! By Captain Nerd | July 30, 2012 - 10:12 pm | July 30, 2012 dumb things!, funny things!, tech things! This is why you have to be careful when you’re running a website-base ad campaign. 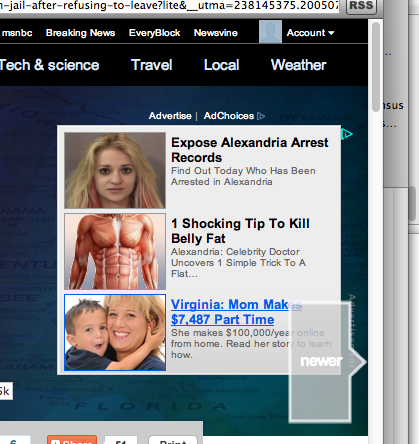 Some ads just don’t go together when they’re chosen automatically! Tagged ads, juxtaposition, silly, strange, web ads. Bookmark the permalink.